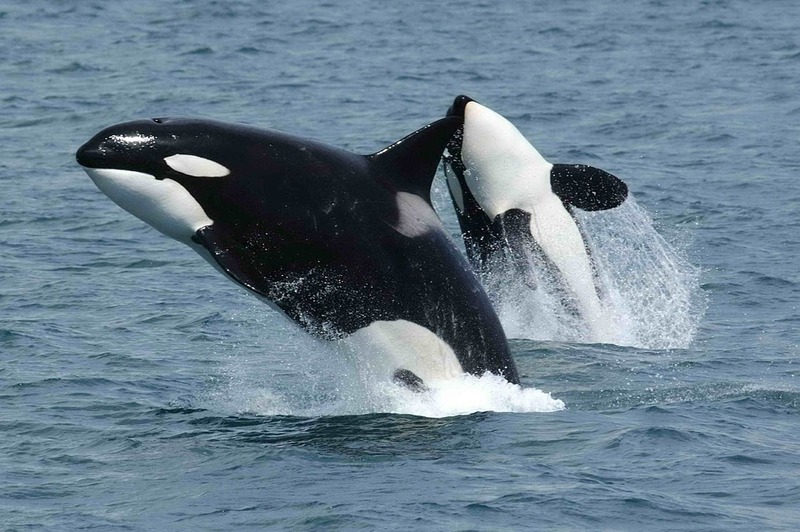 Killer whales are in trouble due to persistent chemical pollution in the environment. According to a new study, the long-term viability of more than half different orca groups are in danger due to environmental changes. Some whales are almost certainly doomed in areas such as the Strait of Gibraltar, Japan, UK, Brazil, and California. The chemical compounds are usually manufactured in great quantities and used everywhere from paints, plastics to the sealant and electrical equipment. The chemical compounds are highly toxic and banned decades ago, however, they are still in our environment leaching into the oceans. Orcas or killer whales absorb all the PCB pollution which they take in by different prey in the food chain from seals, shark, and fish. Furthermore, the PCB stunt whale’s ovaries of female killer whales which can limit their ability to produce claves. Also, the chemical suppresses the immune system of orcas making them more vulnerable. For those killer whales who live in clear waters such as Antarctic and Arctic, there is some hope and they might even increase in numbers in the next few decades. However, for those killer whales who live in polluted seas, the next 30-50 years do not look good, meaning they might not survive or be able to reproduce. Paul Jepson, from the Zoological Society of London, said that this group will “disappear in my lifetime”. According to the analysis of satellite imagery, building work has restarted at hundreds of coal-fired power stations in China. According to a research carried by green campaigners Coal Swarm almost 259 gigawatts of new capacity is under development in China. The authors of the study suggest that the same capacity produces electricity as the entire coal fleet in the US. There is a surge in new coal projects approved at a provincial level in China between 2014 and 2016. The study reports that at the moment China has 993 gigawatts of coal power capacity, however, the approved new plants would increase this number by 25%. China’s government issued a suspension order for more than 100 power plants but the recent analysis suggests these efforts have been less effective than previously reported by news. The satellite photos examined each power plant which was a subject to a suspension order and they found that construction is ongoing at many locations. Ted Nace, from CoalSwarm, said: “This new evidence that China’s central government hasn’t been able to stop the runaway coal-fired power plant building is alarming – the planet can’t tolerate another US-sized block of plants to be built.” The continues coal power buildings’ work has a major impact on our overall climate and global warming. The bombs used by Allied forced 60 years ago during the World War II were so large that they weakened the Earth’s upper atmosphere. While the air raids turned towns to rubble and ash, new research shows that shock waves could be felt up to 1000 km above the place of detonation. Hopefully, the research will give us a better understanding of how natural forces such as volcanic eruptions, lightning, and earthquakes can affect the Earth’s upper atmosphere. Researchers looked at how the concentration of electrons changed in the upper atmosphere around the time when 152 Allied air raids happened in Europe – including the raids on Berlin and those raids which happened in support of the Normandy landings. The ionosphere is a layer of the Earth’s atmosphere which can affect GPS systems, radio communications, radio telescopes and our understanding of weather systems.